Glenair addresses interconnect system assembly needs with a variety of Military Standard and specialized connector tools, backshell assembly tools, braid termination tools and accessories. 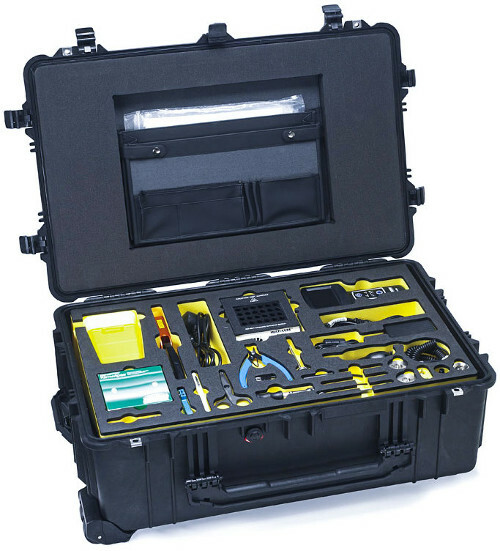 Our tool line includes connector wrenches and mini-strap wrenches, as well as universal connector holding tools for production use as well as field maintenance. Glenair's line of shield-termination banding products is the number one system in use today. Glenair manufactures many of the specialty tools used in high-reliability interconnect harness assembly. And we are distributors for a wide range of additional tooling from the industry's other leading manufacturers. In the United Kingdom, Italy, Spain, Germany, France and the Nordic region, Glenair has built a reputation for providing turnkey interconnect tool kits and tooling service programs.